Wish the birthday girl or boy a happy 12th birthday with this gift. It's their final birthday before their teen years which is all the more reason to celebrate! 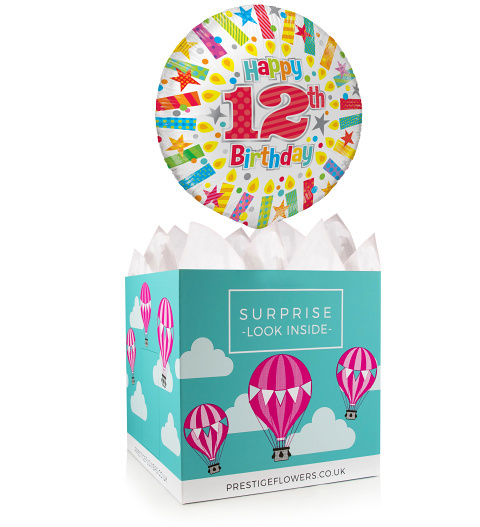 We have selected a lovely 18-inch helium balloon as well as a gift box for this special occasion. Feel free to choose any of our optional extras such as a cuddly bear, chocolates, or cake to go with the gift. We will also include your personal message.